The Rs. 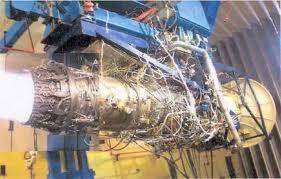 2,000-crore Kaveri engine may have eluded our own light fighter plane, the LCA. Now there is the smaller Wankel engine, though, to give some cheer for another reason. Wankel is a major achievement for the defence research establishment, Dr. Tamilmani announced at the Aero India seminar here on Monday. This will be used to power the home-grown UAVs Nishant, Lakshya and Rustom-1 and 2 versions used to observe and survey border areas. The engine has been developed at a cost of Rs. 20 crore by the National Aerospace Labs and the Aeronautical Development Establishment, both based in Bangalore, and the Vehicle Research and Development Establishment, Ahmednagar. ADE has developed the UAVs. NAL, the prime partner, has transferred the technology to two companies in Hyderabad and Bangalore for production for a trial order of 20. The engine was test-flown on the ADE’s Nishant unmanned air vehicle a few times over the last two years. The UAV reached its targets of 4.5 flying hours and an altitude of 3.6 km. The design of the prototype is frozen for new UAVs and for spares that are in service, said ADE Director P.S. Krishnan. “Propulsion system is the heart of an aircraft. Until now we were buying [the UAV engine] from Europe. To be indigenised is very important as the airframe and other onboard systems are Indian,” Mr. Krishnan said. “It’s an excellent engine in the 80-90-kg thrust class.” Such engines also go into powerful racing cars and boats.